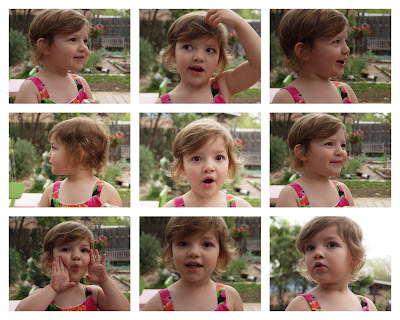 Nine times the cuteness! Who could choose just one? Click here to download this collage in widescreen for your computer desktop. Or let me know if you want it in a custom size! 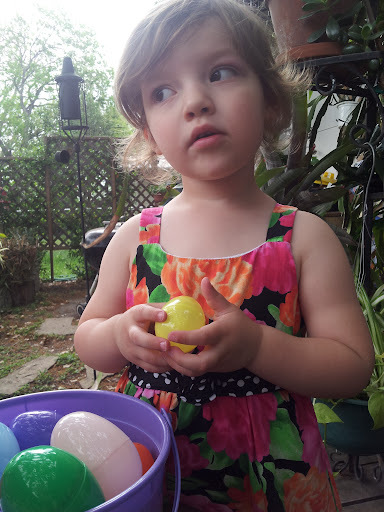 This year, we celebrated the annual turning of spring with a little egg hunting in the morning (loot included: yogurt melts, buttons, fuzzy worms, and misc SXSW booth swag giveaways (who knew the Easter Bunny was a nerd?) Then we had brunch with close family and relaxed in the garden. Want to see more? Click below to view the entire album! Just in time for Lena's appearance in Owen and Eve's wedding next week, Lena got her first haircut! 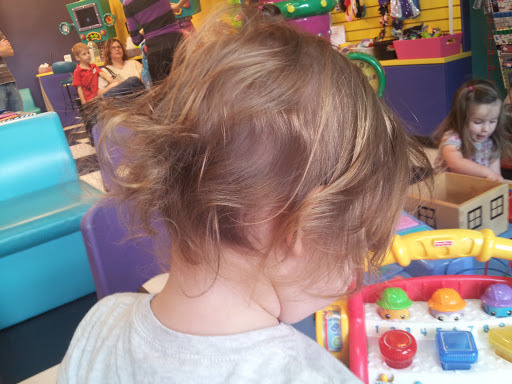 We choose a salon here in Austin that specializes in kids cuts. 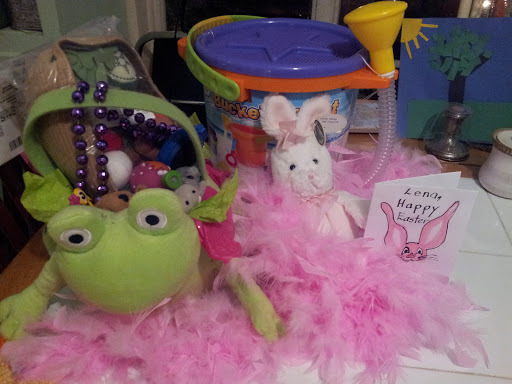 It was a very stimulating place with lots of toys and videos and other distractions to keep the kids happy. Lena got the special "first haircut" package with a certificate and photo. After the cut, kids get to drop a card in the machine to get a prize. Well, Lena was on to that in about 2 minutes, needless to say! And she kept trying to steal the other kids toys whenever the machine spun up. She was very happy and patient the entire time. I'm so proud of my BIG girl! Final result, complete with green bow, glitter, and strawberry smelly spray. What a treat!